Archbishop Fulton Sheen Declared VENERABLE! 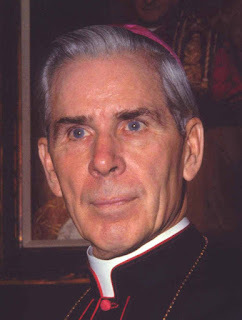 The Holy Father, Pope Benedict XVI, signed a decree on June 28th declaring the late Archbiship Fulton J. Sheen Venerable. After one miracle has been attributed to him, he could be beatified and given the title Blessed. If a second miracle is verified after that, he can be canonized and declared a Saint.